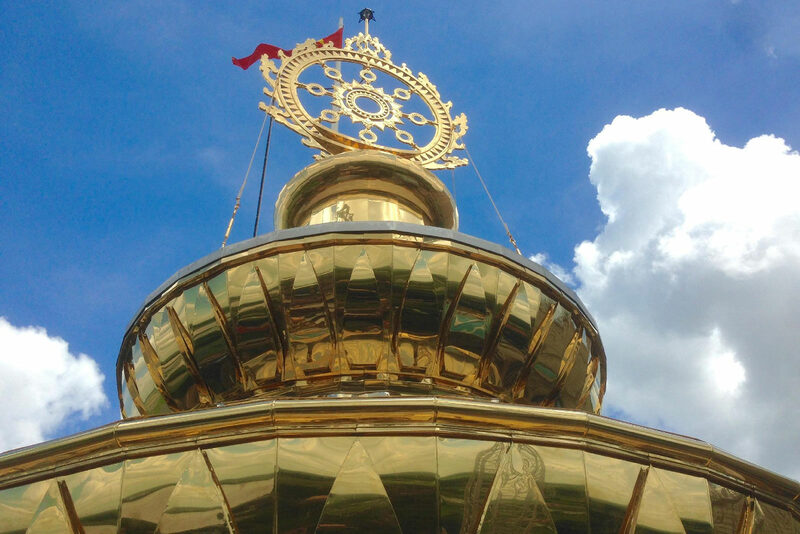 In a matter of days, on February 7th, ISKCON leaders and devotees worldwide will be converging at the Holy place of Sridhama Mayapur for the historic occasion of the installation of the final two Chakras onto the domes of Sri Sri Radha Madhava/Pancha Tattva and Lord Nrsimhadeva atop the Temple of the Vedic Planetarium. This highly important and pivotal event represents the achievement of another milestone of success in the completion of the TOVP, and heralds the next phase of construction as we approach its completion and the Grand Opening ceremony in 2022. The credit for such an accomplishment rests with all the devotees who have given their labor, time, talents and funds to make this possible, and for that sacrifice they will all be eternally blessed by Srila Prabhupada and Mahaprabhu without a doubt. It is truly a temple built by the hands of all the devotees and the TOVP Team wishes to thank each and every one of them from the bottom of our hearts for whatever they have done to contribute to this project. Lastly, we encourage you to become a TOVP Ambassador and share this message with as many devotees as you can through your Facebook Page, announcements at your temple, emails it to your friends, etc. Become a part of this event by letting others know about it.